At the moment I am into crocheting beanie patterns to try out different stitches. They are a good size to complete within an afternoon. I came across this pattern that I just had to try. I thought it would be a challenge; and it was to begin with. 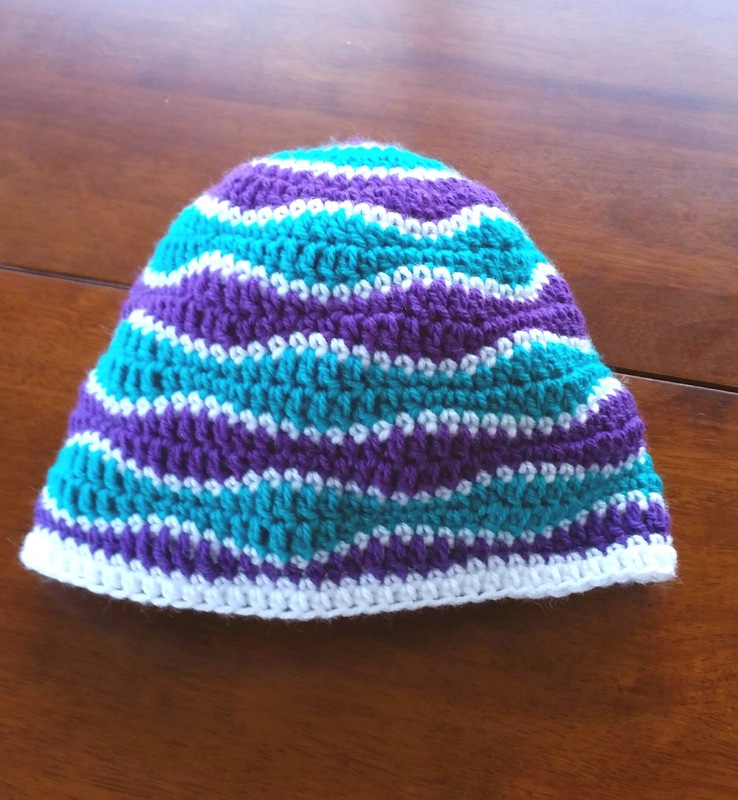 My grand-daughter in Australia had asked me to crochet a beanie for her. Being nine years old and right into Monster High dolls and their colours I had to find some appropriate yarn, and I think I have. Now to look for some scull buttons to put somewhere on it? Need to think about that one. I had to follow the pattern carefully instead of going off on my own tangent. Anyone else do that too? But I feel have mastered it now. Best make her sister one too.